Anyways, you guys know my love for jewellery and this is the sole reason I've unfailingly got my hands on CuteBox Subscription Box. The foremost reason as to why I love their subscription box is due to its price point. I'm not one of those who'd spend more than 500 bucks on subscription boxes because "Aye! It hurts my pocket as a student". Plus, who doesn't wanna get contemporary designs of jewllery to try out each month. Although currently my mind repeats that quote I read in From Paris Box which said "Nobody said no to jewellery"; but I literally was clueless about their choices of jewllery in the first place! 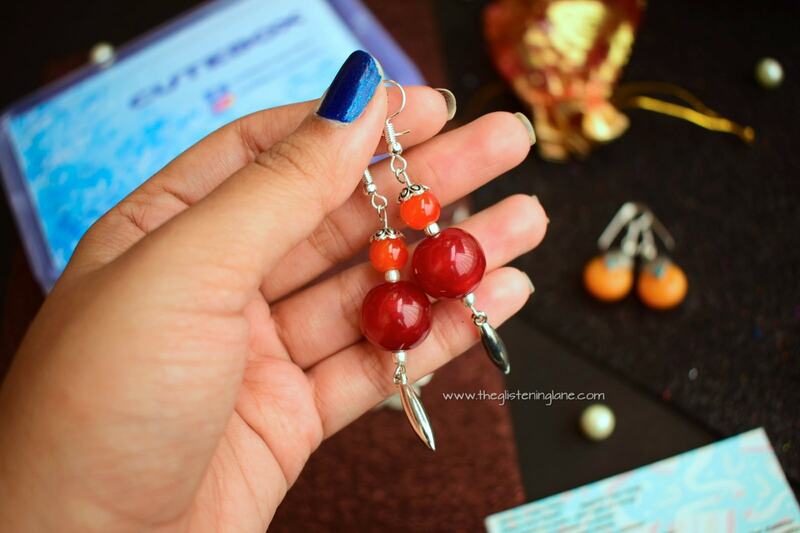 What You Can Expect This Month: 1 Neckpiece and 4 different Earrings. 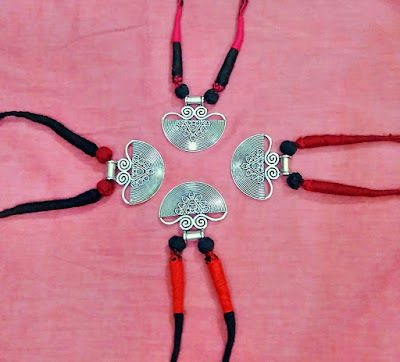 Out of these, choices are available in neckpiece and one set of earrings about which I shall be elaborating later. 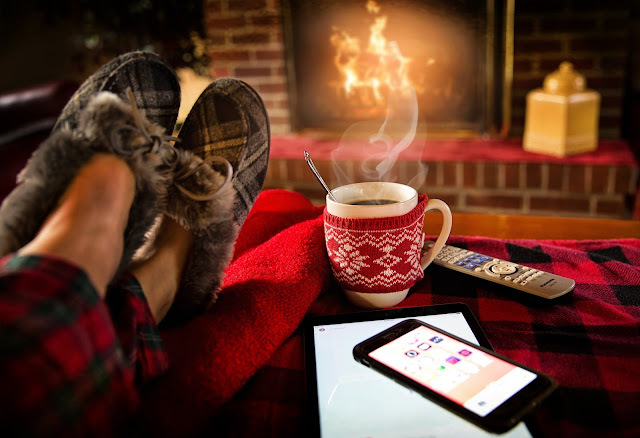 Now usually, we’ve seen brands offering subscription packages for 3, 6 & 12 months. 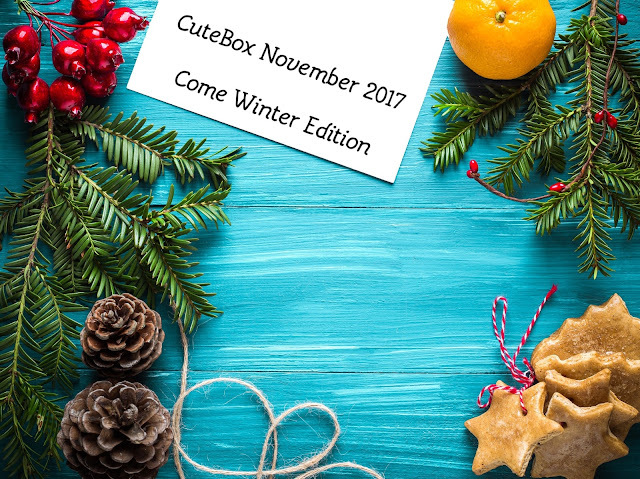 To break the monotony, CuteBox has offered a Bi-Monthly Subscription package for their users. If anyone buys the November Box only then they’d be charged Rs. 399 (plus Rs. 50 shipping) which is equal to Rs. 449. But if you opt for the Bi-Monthly package, then you only have to pay Rs. 760 + Rs. 100 (shipping) which will sum up to Rs. 860. And with that you will be saving 40 bucks. But I wish the brand would have waived off the shipping itself to make this package more intriguing. There were some thread ones and there was an oxidized metal one so I went ahead with it because it can comparatively go with a lot of outfits. You can pair this piece with your full sleeved tees or sweaters this winter season. 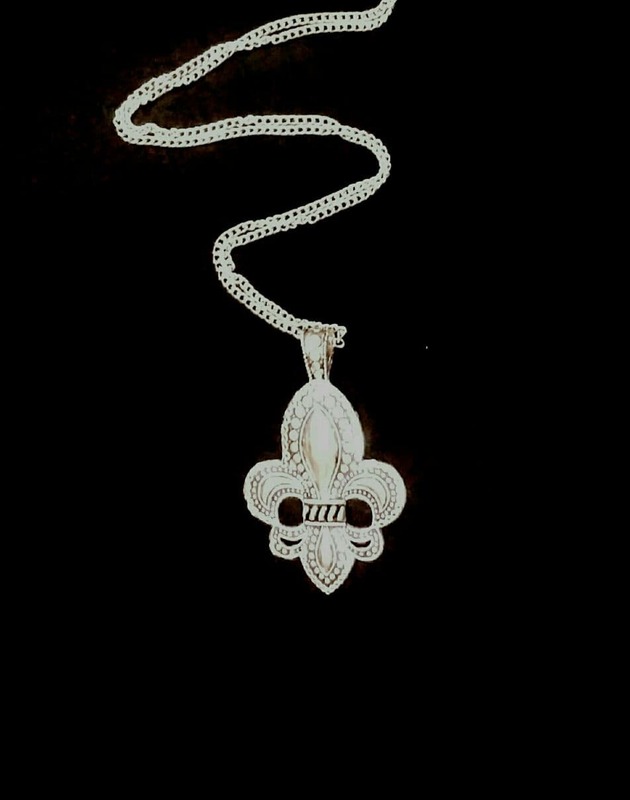 I do like this piece although there’s nothing too unique within this neckpiece. I think I’ve seen such kinds in a lot of flea markets. But I would definitely be wearing this one soon; probably on some plain kurti. For western wear, I think I’d like to style it with some distressed jeans, black sneakers and a white or pale pink tee and silver hoop earrings. 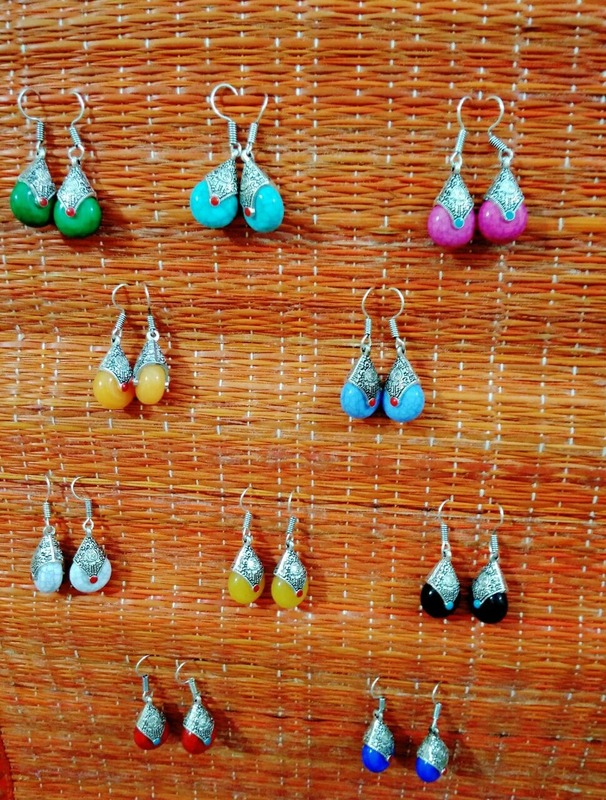 There’s something unique about the design of this particular pair of earrings. These have golden hue but the yellow is quite subtle and not overpowering. It looks like a garland with some studs, exclusively placed in center of each flower. There can be paired up with your college or work wear, especially kurtis. These are slightly heavy but not too heavy. 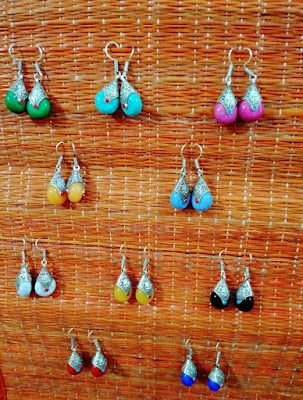 I don’t really wear such earrings but let’s see how they would look on me. I’d probably wear them with an ethic wear and palazzo. Possibly something in cream undertones would go amazingly with these. 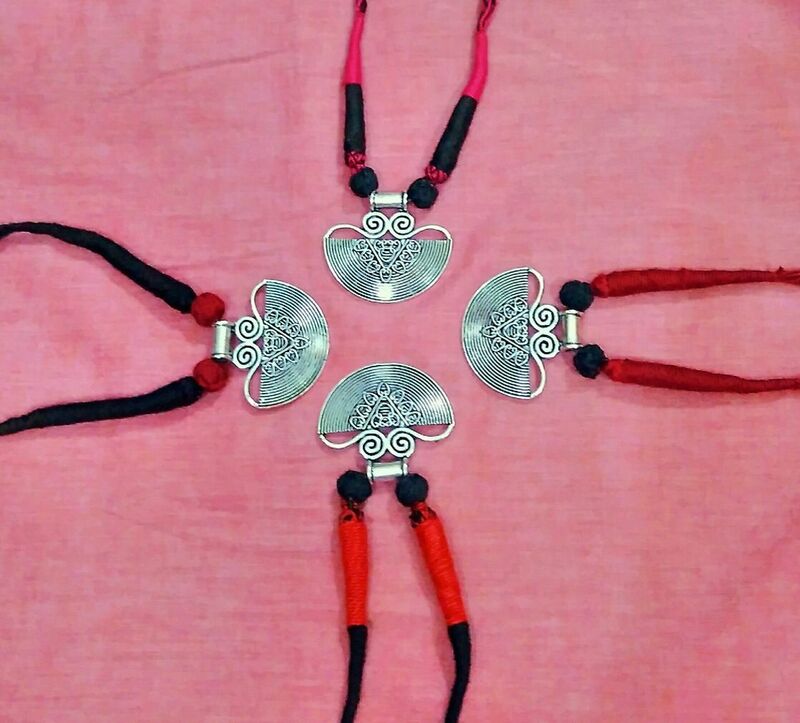 In Delhi, we do have a Tibetan Market near ISBT. But would these be found there or not; I have no clue. 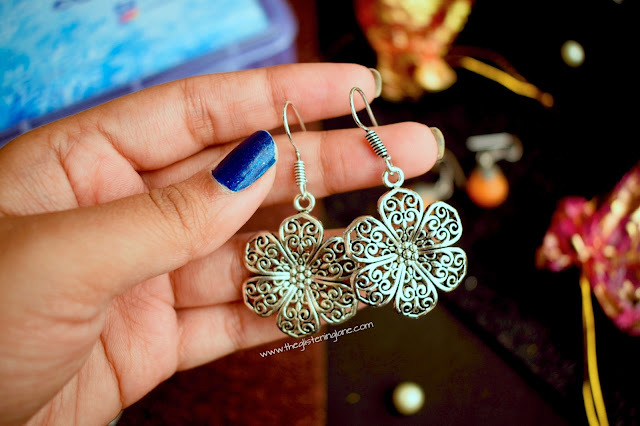 What I loved about these earrings is that they are lightweight plus you can get different colour choices. Also, there are different coloured beads on both the side. This gives you ample opportunity to pair it with different outfits. I know the innovation is quite minor but sometimes, even little things do an amazing job for you. This set of earrings is my favourite out of the lot. I like these because these are silver toned and can go with every possible outfit. Also, the design is quite unique and these are lightweight so they won’t hurt your ears after a full day. 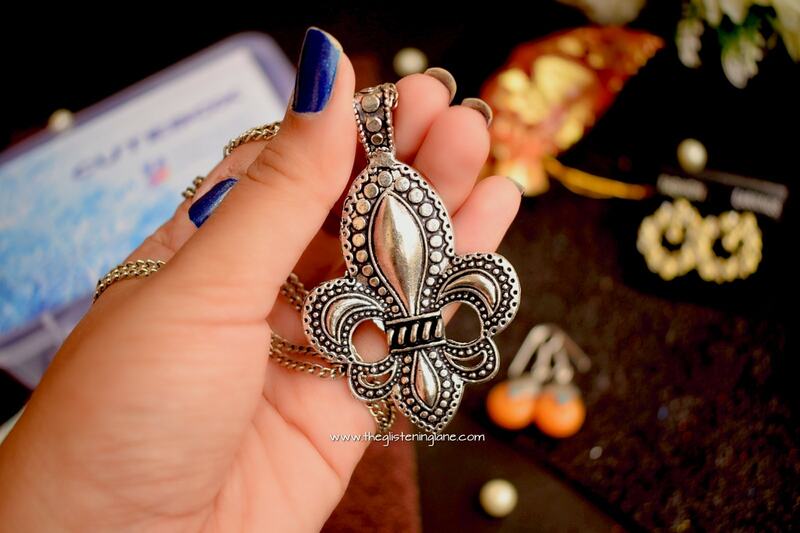 The design of this is so intricate that you can pair it with ethnic or western wear and look awesome. 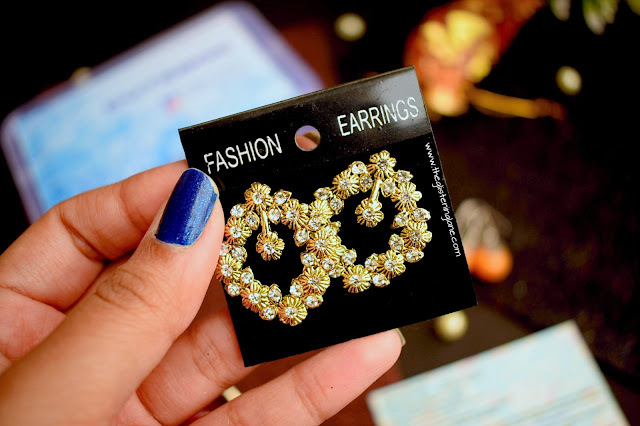 These can definitely become my go-to earrings for this month for an everyday basis wear. I am kind of unsure about these pair of earrings. I never wear such earrings but then there was no choice in these. The quality by no means is lacking but my choices are slightly different. Probably my sister could wear it with her kurtis. 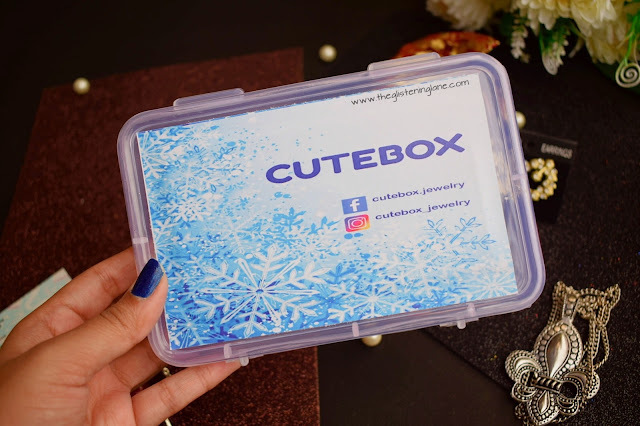 Overall, my experience of this month with CuteBox Subscription Box was a mixed bag. I liked some and for some I was not really happy. 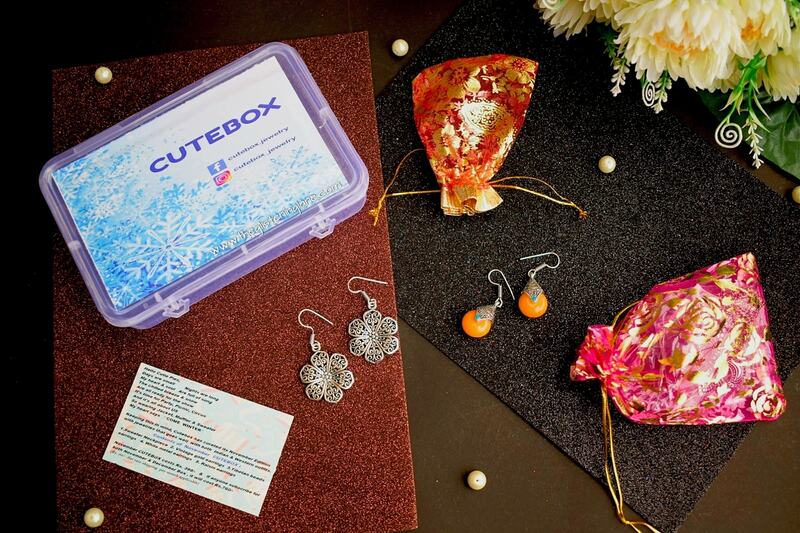 But there’s one thing for sure, that CuteBox sorts out your daily wear accessories need; especially earrings. 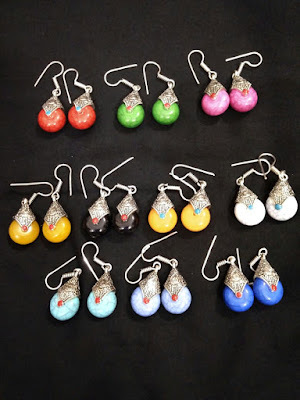 But I am probably seeking some more jewellery pieces as well than just the earrings. Their new label looks professional for sure but I miss the older pink label too. 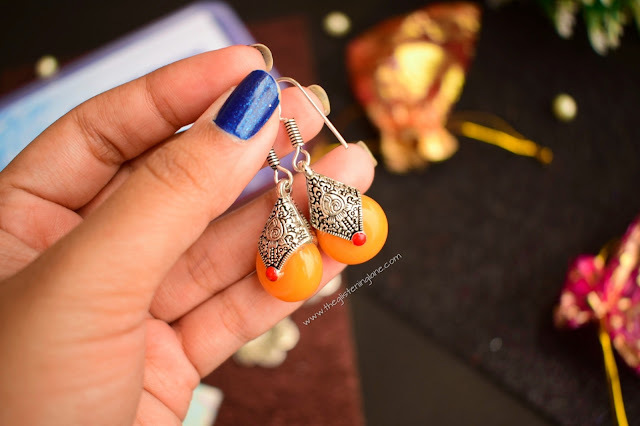 Their first month box had quite innovative pieces and I guess they should incorporate more of such accessories. Lastly, the quality hasn’t been compromised for sure which is why I end up going back to CuteBox.